A wonderful return to nature, with a flavour of yesteryear, this is a beer that is drawn from wooden barrels to fill so many mugs in our Flemish bars! Brewed by infusion with strong and hearty Flemish hops, then fermented using top yeasts, 3 Monts is perfectly balanced between malt aroma, fruity flavours and bitterness. The head is generous, dense and long-lasting. 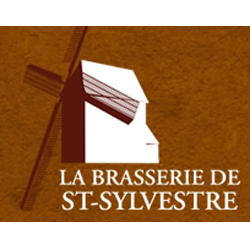 3 Monts Amber Ale from St. Sylvestre Brasserie is an Biere de Garde style beer, medium amber in color and is slightly hoppy. Gavroche is a strong, red beer, in which the deep malt flavour and brisk hoppiness are very well balanced ; and the whole is gracefully accentuated by fruity flavours derived from a special top-fermenting yeast. 3 Monts Golden Ale- Glass 750ML/12ct. 3 Monts Amber Ale- Glass 750ML/12ct. Gavroche Red Ale- Glass 750ML/12ct.